A quiet evening in here. St John at Hackney - Centennial Brown Ale 5.40 Brown Ale with hops and a relatively light body. Lervig - Hoppy Joe 4.70 From keg. US Red with malt and a little caramel plus great hops. Late-afternoon and I almost have the place to myself. Kernel - Export Stout London 1890 7.50 From key-keg. Another superb recreation of an historic London recipe by The Kernel. Tiny Rebel - Pomegranate and Molasses Belgian Strong Ale 8.00 From some kind of keg. Amber and strong. Fruity sweet and a little bit spicy. On another day I might consider this to be 5 star. Early evening and a light smattering of customers. Boxcar - PAL-025 Barbe Rouge Pale 5.70 An interesting and unusual, fruity flavour from this new French hop. Almost tastes of cherries. A quick one in here after a bit of a session next door at the Experiment. St John at Hackney - Mare St Mosaic 5.50 Poured straight from the tank. A great Mosaic hop showcase. Crowded and noisy with a Christmas Fair taking place in the access road outside. St John at Hackney - Superfly IPA 6.50 My kind of thing – hopped with Citra, Simcoe and Mosaic. One to savour. According to a CAMRA boffin here, the home-brewed beers ‘sort of’ count as real ale, in the same way that Zero Degrees beers sort of count. I’m not convinced, as they clearly have good carbonation levels – but I’ll list them all, not just the ones I drink, just in case. St John at Hackney - Lager El Dorado Mosaic 4.30 Served direct from the tank. If only all UK-brewed Lagers tasted as good as this. Fresh-tasting, with very high hop-levels from dry-hopping. Early evening on a Thursday and it is quieter here than I have seen it before. Boxcar - PAL-020 DDH Pale Galaxy 5.00 From a form of keg. Another winner from Boxcar; this is a delicious, hoppy beer. A brief call for a quick half as it is busy and noisy in here. St John at Hackney - Session IPA 4.50 Fresh and fruity but a bit too fizzy. Good stuff though. Early evening. It is the first time I’ve been here when the front bar has been busy – it is echoey and loud with music and a lively birthday party. It seems that all the St John’s beers are now brewed on site. St John at Hackney - Imperial Stout Version 2 10.70 Stronger than Version 1 and again very enjoyable. Intense coffee/roast barley with liquorice and brandy notes. St John at Hackney - Simcoe DIPA 8.30 Amber-coloured and hazy. Lots of Simcoe hops in a strong tasting beer. St John at Hackney - Ariana Pale Ale 5.00 Golden and cloudy. A full-bodied Pale Ale with herbal and bitter hop flavours. Evening visit. World cup football is being shown on a big screen in the yard at the back and this has drawn quite a crowd. No cash taken at the bar here. St John at Hackney - Imperial Stout Version 1 9.70 Black, thick and sticky. Low carbonation from key-keg or keg. Liquorice and prunes. The best I have tried from this brewery so far. St John at Hackney - Pale Ale Version 3 5.60 The second beer to become available that has been brewed on site – and served direct from the tank. It’s a murky gold beer. Bitter fruit flavours. St John at Hackney - Pale Ale Version 1 5.20 Brewed off-site, apparently in Germany. Cloudy gold. A keg fizziness detracts. US West Coast hops I think. The pub is found in Hackney, Greater London, E8 1DU. 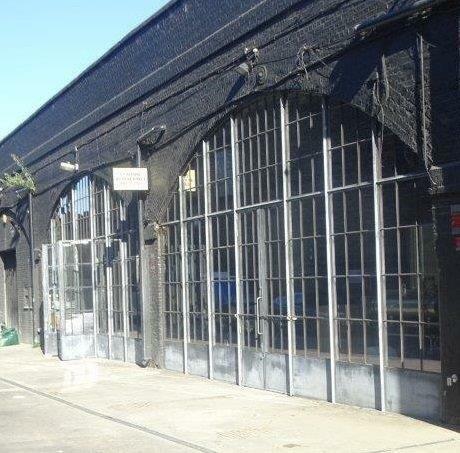 A micro-brewery and tap room located in a double railway arch in central Hackney, in an area that has been designated a ‘food and drink hub’. Opened in late-May 2018. Established as St John at Hackney Brewery but renamed in March 2019 in case anyone should mistake the premises for a branch of the St John's fancy meat restaurants. 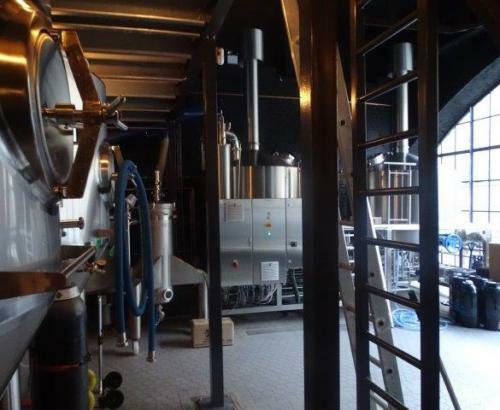 There is a spacious indoor seating area beside the brewing equipment, a kitchen specialising in a kebab menu, and outdoor bench seating to the rear. No cask-conditioned beer is sold here, but some beer comes straight from the tanks. Open daily except Monday. We have visited this pub 11 times, seen 20 different beers and tried 19 of them.